Silvery emerald straw color. Aromas and flavors of cinnamon apple pie a la mode with a vibrant, petillant, moderately sweet medium body and a medium-long finish that exhibits notes of apple cider and candy. A sweet, apple pie like wine for dessert and picnics. Bottom Line: A sweet, apple pie like wine for dessert and picnics. Flavored wine is a category of specialty wine products that have added flavors and/or colors. Examples run the gamut from watermelon-flavored Rose to chocolate-flavored Cabernet Sauvignon. 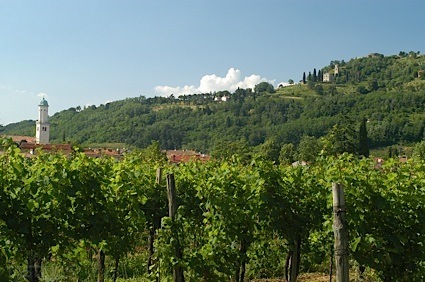 These wines are typically sweet, light-hearted products meant for un-fussy enjoyment. 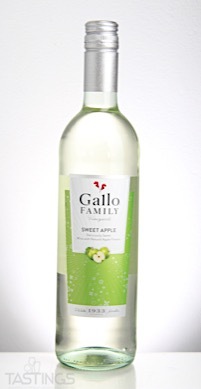 Gallo Family Vineyards NV Sweet Apple, California rating was calculated by tastings.com to be 86 points out of 100 on 4/5/2018. Please note that MSRP may have changed since the date of our review.